Ocular Migraine: Is It A Visual Migraine? Ocular migraine, or visual migraine, can be terrifying the first time it happens. All of a sudden, there is visual loss or bright lights. The cause is the result of narrowing of the artery behind the eye..the retinal artery. Ocular migraine also occurs only in one eye and the headache usually does not follow. Confusing isn't it? Well, if this is a new symptom for you, it is best if you contact your doctor to discuss this as other conditions, such as a blood clot in the artery can cause the same symptoms. If you do have a distortion, this is called a scotoma. If there are flickering lights then it is scintillations. 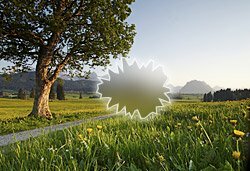 Painless ocular migraines appear suddenly creating the sensation of looking at a spreading visual distortion as seen above. A different type of distortion is called metamorphopsia. (What??) This is when straight lines are curvy, things look stretched out or smaller and generally no you are not losing your mind. It happens due to electrical events in the brain in the area responsible for vision. One of the main differences between an occular migraine and true migraine symptoms is the absence of headache pain and that the symptoms occur in only one eye. If they are in both eyes, then it is an aura and most probably, a migraine will follow. First of all if this has never happened to you before, you need to see a physician. There are other conditions associated with visual disturbances including retinal detachment, stroke, corneal infections, seizures and rarely brain tumor headaches. In other words, you need an exam and either a CT or MRI of the brain. An MRI is preferable, as it can get a good look at the orbits and the optical nerves. Assuming all is normal on the MRI, treatment is given only if the occurances are frequent and disturbing to the patient. Most of the time the symptoms resolve within an hour. If this happens while driving the car, pull over immediately until everything returns to normal. That is the key here, all the symptoms return to normal. Generally these occurances last 15-20 minutes and rarely over an hour. If they do last over an hour, then we start worrying about a possible transient ischemic attack or TIA. If the ocular migraines are frequent, treatment usually means a low dose of a beta-blocker medication like Inderal. If you have asthma, you can't take this medication and most probably would do better on verapamil. 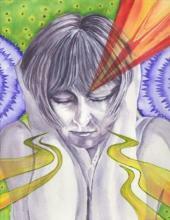 "Visual migraine" can be frightening at first, but once you are diagnosed and know what to expect they are not too bad. References: Neurology (May 2005), Ophthalmology Clinics of North America (September 2004), Pediatric Neurology (May 2004), Clinics in Family Practice (September 2005). Site Build It allowed me to build this great website. All in 2 weeks. Find out how you can make a money making site and all you do is type!